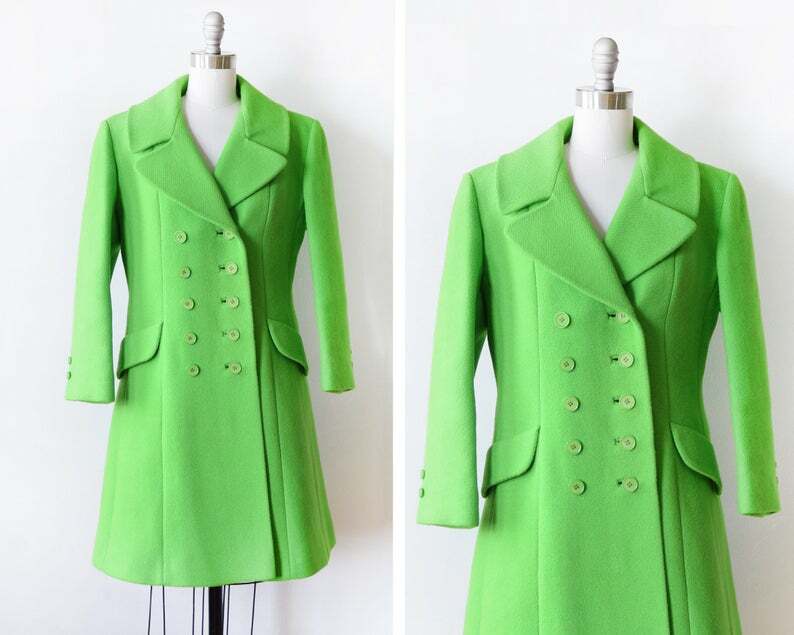 Bright lime green vintage 60s mod wool coat. Pointed collar with double breasted front. Ten green plastic buttons on the front with matching buttons on the cuffs. The pocket flaps on the front are only for decoration, but the coat does have hip seam pockets on each side. Lined with a green satin nylon feeling fabric. There is some discoloration to the fabric on the right side and a few small spots on the left side of the lining, please see photos. Super warm! Condition: Excellent vintage condition (see description for any flaws). This garment has been steamed cleaned and is ready for wear.